This Giant Zombie Door Cover can easily seen from the street and is perfect for letting trick-or-treaters and Halloween party guests see where the fun is. Plastic door decoration for indoor and outdoor use. Hang with tape or sticky tack, sold separately. 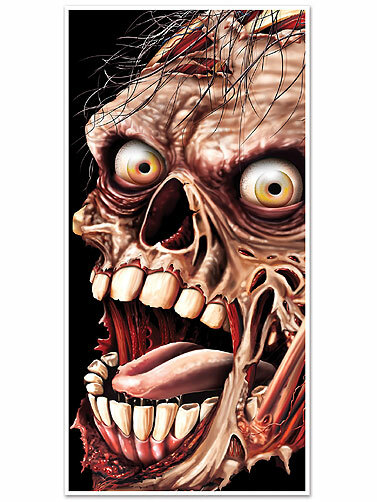 Giant Zombie Door Cover measures 60"H x 30"W (5 ft x 2 1/2 ft).